This summer, Swedish gaming company Net Entertainment is bringing more and more new hot slots that are sure to keep you playing and having fun anytime and anywhere. Along with the exciting new games that NETENT has released lately, including Mega Fortune Dreams, Lights and the Wish Master, two new video slots called Attraction and the Mysterious Lost Island are coming up during July and August. Win up to 500,000 coins on the new 5 Reel, 20 Paylines online slot the Mysterious Lost Island! Featuring free spins, multipliers and wild substitutions this game will take you back in time in a quest for a forgotten island and a special device left by an ancient tribe. Want to play the Lost Island before its official release date? Sign up at Betsafe Casino and be the first to try this hot new online slot for free or real money! 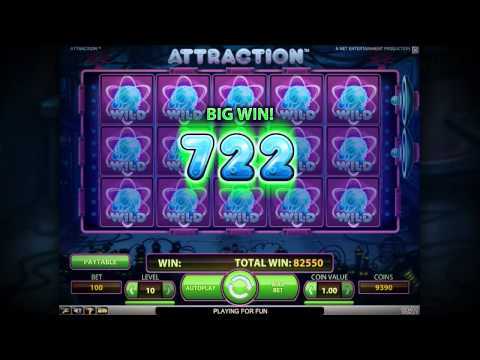 Attraction is a brand new slot game from Net Entertainment to be released on 24 August. The game is a 5-reel, 3-row, 10 Paylines video slot featuring tons of wild symbols like Magnet Re-Spins and Sticky Wilds. The Magnet feature is absolutely cool as it’s activated at the start of each spin (and re-spin). If a wild symbol appears on the same reel or row a magnet feature is activated with 1 Re-Spin for a chance of more wild symbols and big wins. When it comes to the design you can expect the background to look like a dimly lit lab with computer screens, tangled wires, a blue chalk board hanging from the ceiling of the lab, and glowing lights, all enriched with vibrant colours. Want to play Attraction before its official release date? Sign up at Betsafe Casino and be the first to try this hot new online slot for free or real money!